Coming to visit my west coast son and family in Monterey, CA means enjoying the ocean, as even in the winter the air temperatures rise into the 60's. 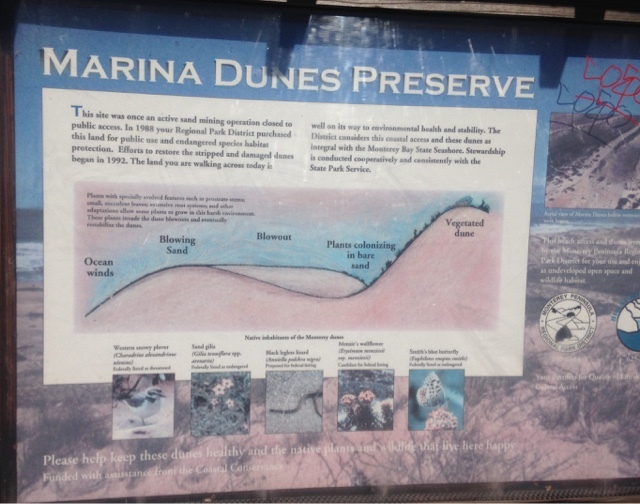 Just a few miles north of Monterey is Marina and I'm visiting the Marina Dubes Preserve today (Monday). 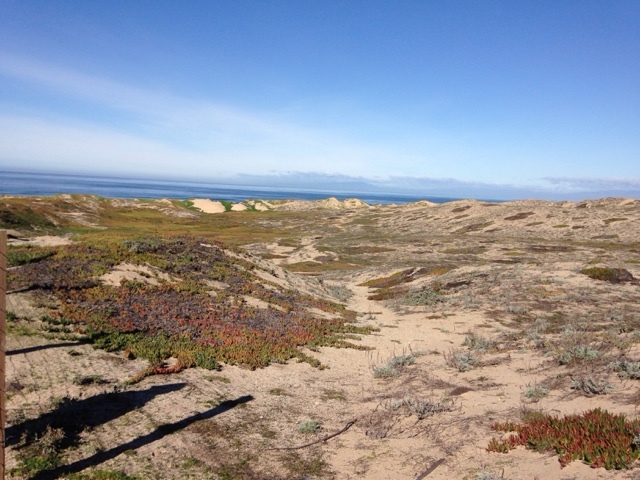 There are fragile dunes here and you need to stay on the path to protect the growth that holds the dunes in place. 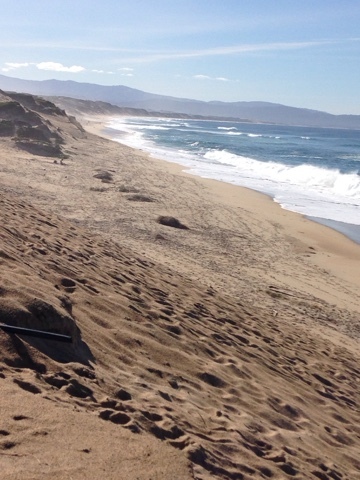 There are miles of beaches in both directions on Monterey Bay. 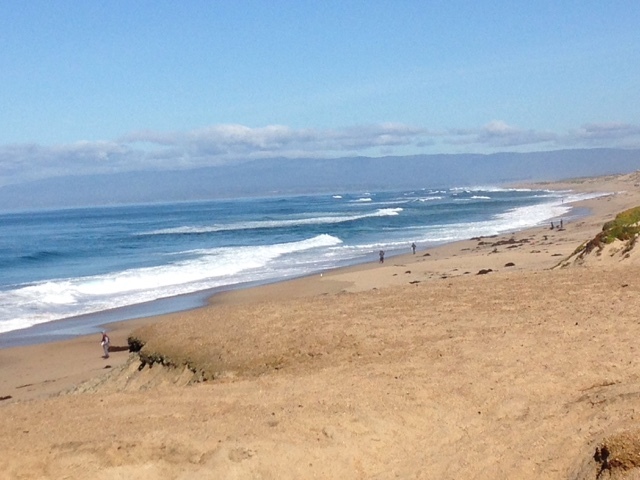 Here I am looking north towards Santa Cruz. This picture is looking south to Monterey. These beaches don't have bathers this time of year. There are though a number of people surf fishing and others walking. If you are looking for the ability to walk beaches with basically no one on them. This is the place. Where Did The Beach Go? Slab City AKA "The Slabs"
Day 1 - (1/4/16) - MA to PA - I'm Off!